Since 2010, Sayyid Ahmed Amiruddin has been a staunch advocate of Arabism and has worked to combat anti-Arabism by increasing awareness and appreciation for the Arab civilization in society. 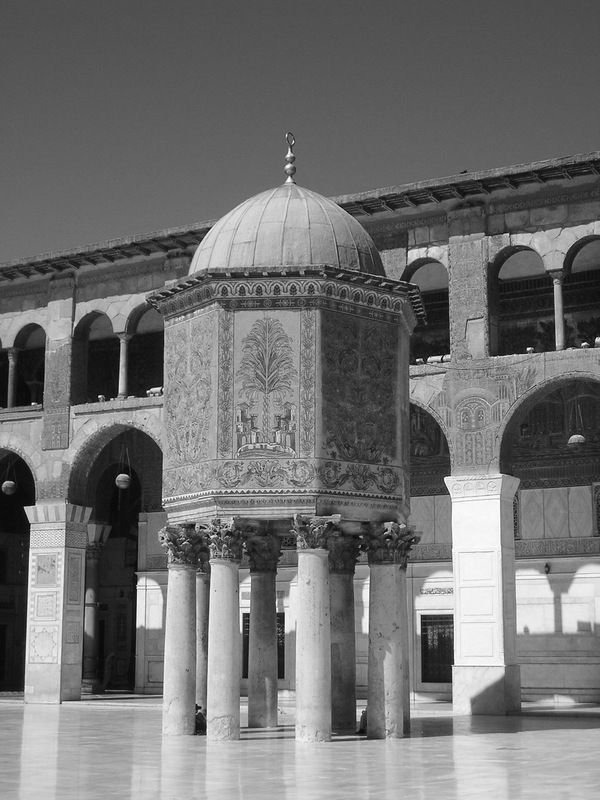 Furthermore, Sayyid has engaged in public advocacy for the preservation of Arab heritage and history, and engaged in advocacy for the cultural and social inclusion of Arabs in non-Arab societies. Sayyid has supported and produced research to foster public awareness of Arab contribution to world civilization, history, and culture. Anti-Semitism is by its very definition racism against Semitic people. The very idea that anti-Semitism is limited to racism against one branch of Semites and not others is absurd and is the very definition of racism itself. Sayyid Ahmed Amiruddin’s advocacy aims to further create awareness that Arabs are in fact also a Semitic people, and as such, the demonization of them in popular culture, domestic and foreign policy making, and the mass media is in fact also a form of anti-Semitism. 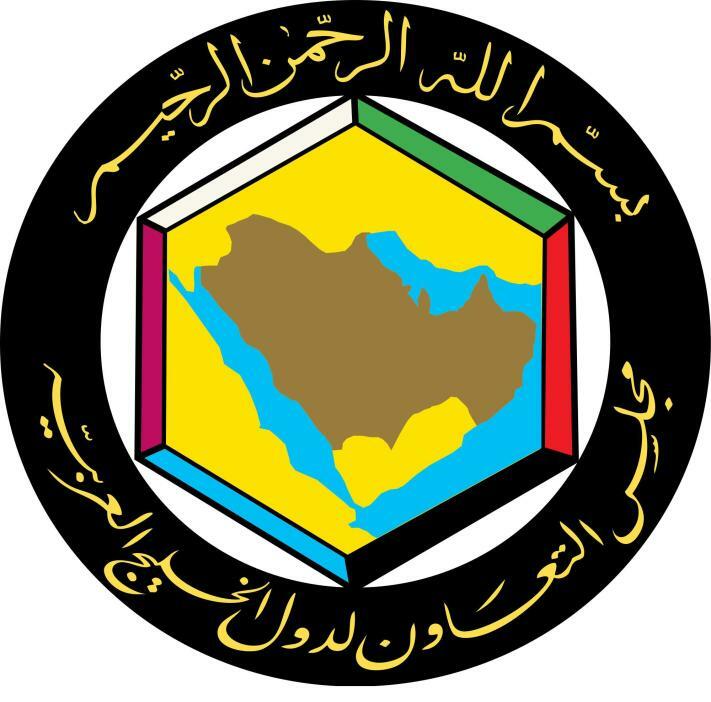 Sayyid holds anti-Semitism against Arabs, also identified as anti-Arabism, should be also rejected, particularily in North America and Europe where it is most rampant, as well as in Middle Eastern countries like Iran, Turkey, among Kurdish populations, and in Israel. Sayyid advocates similar new or ammended laws to also include anti-Arabism in global initiatives like the U.S. Global Anti-Semitism Review Act of 2004 and the Ottawa Protocol to Combat Anti-Semitism of 2011 should be passed globally where anti-Arabism is found. While according to Ibn Wahshiyya’s documentation of phonetics, symbols and scripts, Adam and Eve were the first pure Arabs, since they communicated in pure Arabic and revelation to Adam was in pure Arabic, according to the scholar Ibn Hisham, the main biological line of descent and the legacy of intellectual succession from the tribe of Adam and Eve continued from Noah through Ishmael, the eldest son of Abraham until it reached the Prophet Muhammad ﷺ. According to Genesis, Ishmael was a son of Abraham and continued to be regarded as his son, even after his (Abraham) death. The Bible states, “And Abraham took Ishmael his son…” Genesis 17:23 and, “Then Abraham gave up the ghost, and died in a good old age, an old man, and full [of years]; and was gathered to his people. And his sons Isaac and Ishmael buried him in the cave of Mchpelah” Genesis 25:8-9. According to the Royal Embassy of Saudi Arabia, the number of foreign pilgrims to the Arab shrine of the Holy Ka’aba in Mecca and Holy Prophet Muhammad‘s (peace and blessings be upon him and his family) Tomb in Medina exceeded 15 million between 1996 and 2009 alone, thereby making the Holy Ka’aba and the Holy Prophet’s Tomb arguably the most visited holy sites in human history. 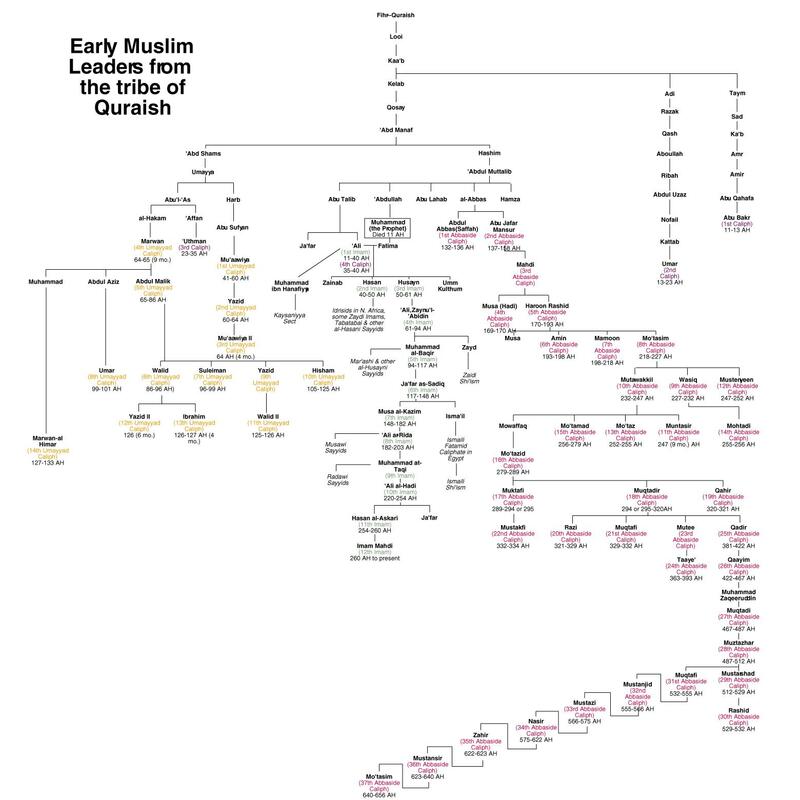 According to Quranic tradition, the Arabs are identified as the Children Ismail (Ishmaelites), and the Holy Prophet’s (peace and blessings be upon him and his family) tribe – the Quraysh – descended from the Children of Ismail. The Holy Quran states, Abraham and Ishmael together rebuilt the Kaaba in Mecca, initially built and marked by their ancestors Adam and Noah, and prayed for Allah to accept it and bless their descendants, the Children of Ismail. The Quran states Allah accepted this prayer and blessed the Ishmaelites with the Mawlid (birth) of the Holy Prophet Muhammad (peace and blessings be upon him and his family) . The Holy Quran states in 2:127-129: “And when Abraham and Ishmael were raising the foundations of the House, (Abraham prayed): Our Lord! Accept from us (this duty). Lo! Thou, only Thou, art the Hearer, the Knower. Our Lord! And make us submissive unto Thee and of our seed a nation submissive unto Thee, and show us our ways of worship, and relent toward us. Lo! Thou, only Thou, art the Relenting, the Merciful. Our Lord! And raise up in their midst a messenger from among them who shall recite unto them Thy revelations, and shall instruct them in the Scripture and in wisdom and shall make them grow. Lo! Thou, only Thou, art the Mighty, Wise”. In his masterpiece “Anwaar i-Muhammadiyya” [Urdu edition, p.22-29]” Yusuf ibn Isma’il Nabhani narrated the following hadith from Wathila ibn al-Aska, “The Messenger of God said, “Allah chose Kanana from the sons of Ishmael, and Quraysh from Kanana, and from Quraysh the sons of Hashim, and finally chose me from the sons of Hashim”. Important figures in pre-Islam history who descend from the Ishmaelites include Jethro, father in-law of Moses, who although referred to as a Madianite, was also an Ishmaelite because the term “Ishmaelite” was synonymous with the term “Midianites” (see, Achtemeier, Paul J., Harper’s Bible Dictionary, San Francisco: Harper and Row, 1985). Another well known Ishmaelite is Zipporah, the wife of Moses and Jether the Ishmaelite (1 Chronicles 2:13-17) who was married to Abigail, the sister of King David. King Hiram of Tyre, and Hiram Abiff who came together to assist King Solomon rebuild Masjid Al Aqsa also referred to later as Solomon’s Temple and Queen Zaynab Bint ‘Amr Ibn Al Arab (Zenobia) – builder of Palmyra were also Ishmaelite Arabs. Prominent Ishmaelites who came later, and became some of the most influential figures in human history include the Holy Prophet Muhammad, and his immediate successors Abu Bakr, Umar, Uthman and Ali ibn Abi Talib, his grandsons Hasan ibn Ali and Husayn ibn Ali, whose shrine in Karbala, Iraq hosts 14 million pilgrims annually on the day of Arbaeen alone. 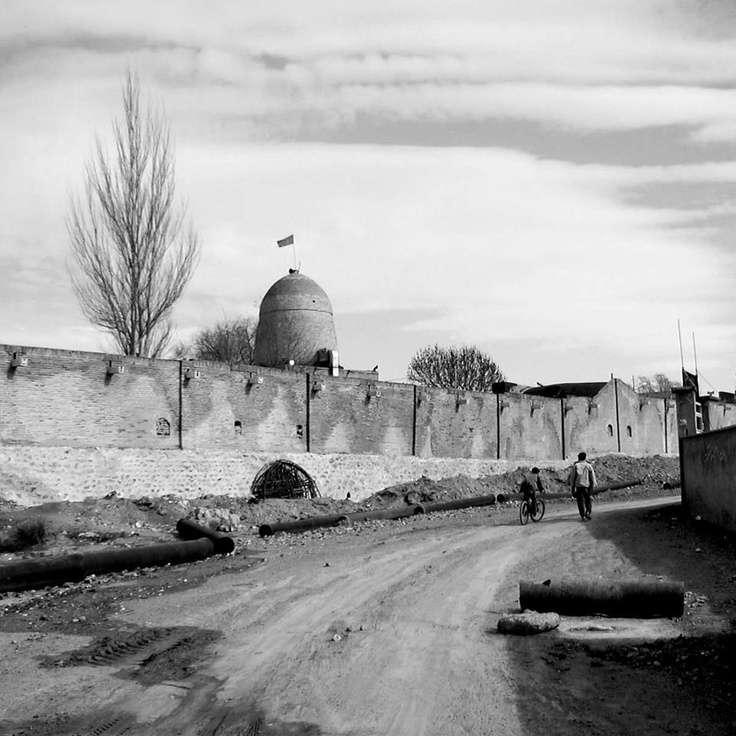 Prominent Sufi and political leaders who descend from the Children of Ismail include Zayd ibn Ali, Imam Jafar al-Sadiq, Imam Ali ibn Musa al-Rida and the Twelve Imams dynasty, Jabir Ibn Hayyan, Junayd al-Baghdadi, Shaykh ‘Abd al-Qadir al-Jilani, Baha-ud-Din Naqshband Bukhari, Ibn Arabi, Ibrahim ibn Adham, Ahmad al-Buni, Ibn Wahshiyya, Ahmad al-Badawi, Jalaluddin Rumi, Moinuddin Chishti, Fariduddin Ganjshakar, Lal Shahbaz Qalander, and Ali Hujwiri. H.E.H. the Nizam of Hyderabad Osman Ali Khan Siddiqi, Asaf Jah VII who was portrayed on the cover of TIME magazine in 1937 as the richest man in the world and named by Forbes magazine as the wealthiest South Asian in history, and ranked the as fifth on the Forbes ‘All Time Wealthiest’ was also of Arab ancestry, tracing his lineage to the first Rashidun Caliph. Steve Jobs the American information technology entrepreneur and inventor and co-founder, chairman, and chief executive officer (CEO) of Apple Inc., – widely recognized as a pioneer of the microcomputer revolution of the 1970s and 1980s was biologically of Arab origins. Jobs was born as Abdul Lateef Jandali to a Arab father, Abdul Fattah John Jandali, who belongs to a prominent Sunni family from Homs. The family is of direct descent from the Prophet Mohammad (sallallahu alaihi wa sallam) himself as reported by Gulf News. Amongst the most prominent pre-prophetic era Arab empires of history include the the Qedarites, the Hagarenes, the Phoenicians, the Nabataeans who built Petra, the Palmyrene Empire, and the Lihyan Kingdom among others. The Nabataean kingdom, also named Nabatea (many times spelled Nabatean), was a political state of the Nabataeans which existed during Classical antiquity and was annexed by the Roman Empire in AD 106. 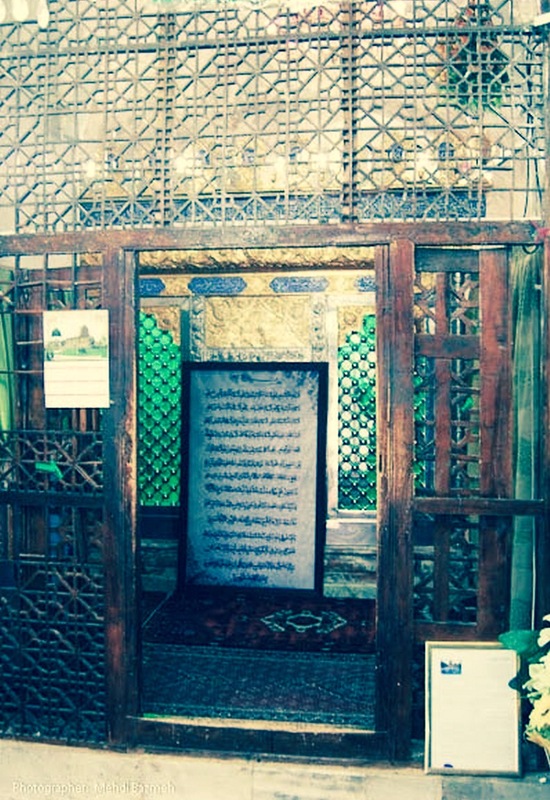 According to Ottoman traditions cited in the book ‘The Sacred Trusts’, ‘Ali ibn Abi Talib was able to read the Nabatean inscriptions found on the case of the Sword of the Prophets, which is said to be housed in the Topkapi Palace. 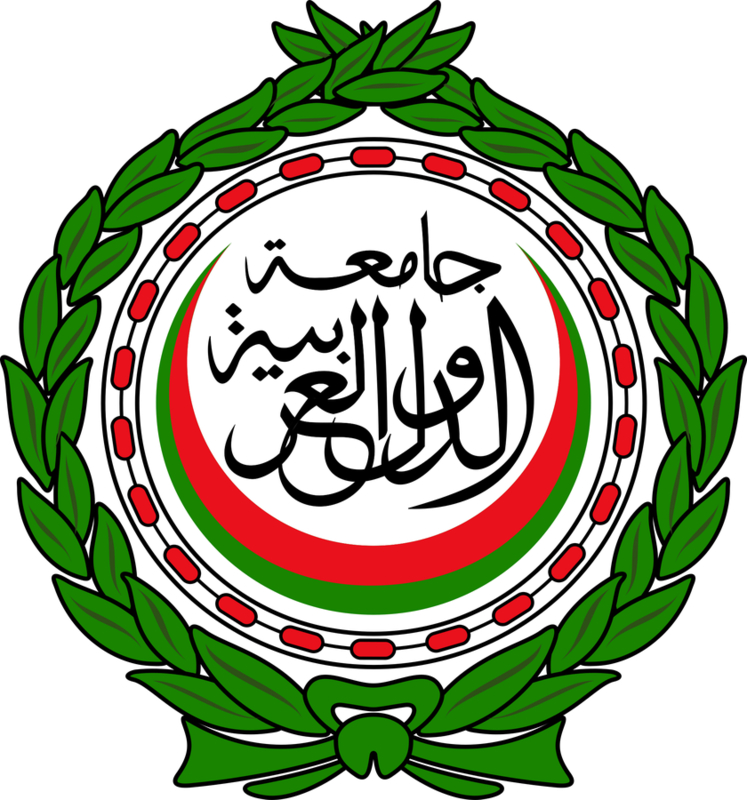 Additionally, in Twelver Shi’ism, the ninth Shi’ite Imam; Imam Muhammad al-Taqi, the grandfather of Imam Hasan al-Askari, is described as being endowed with the knowledge of the languages of the Nabateans. Post-prophetic era Arab empires and dynasties include the Rashidun, the Umayyad Caliphate, the Abbasid Caliphate, the Fatimid Caliphate, the Caliphate of Córdoba, and the Safavid dynasty, the Rassids (Zaydi Imams), the Caliphs of Morocco, the Hashemite Dynasty, the Hashemite Kings of Iraq, the Arab Kingdom of Syria, the Hashemite Kingdom of Jordan, the Senussi Dynasty of Libya, the Sayyid Dynasty of Delhi, the Sayyid Dynasty of Kashmir, the Asaf Jahi Dynasty of Hyderabad, Deccan, and the Sultans of Brunei since since Sharif Ali (1425). 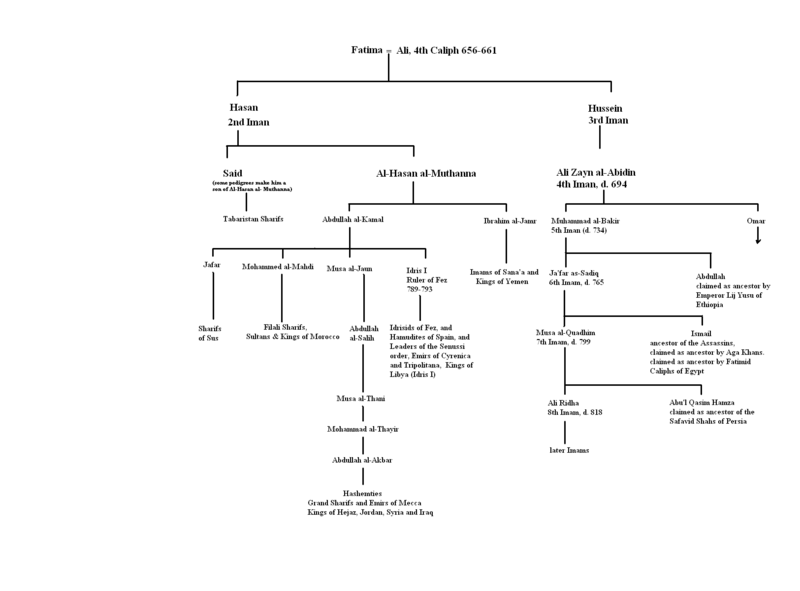 The ‘Aliid Dynasties which traced their lineages back to the Children of Ismail include, the Zaydid Dynasty of Tabaristan, the Ukhaydhirite Dynasty of Najd, Arabia, the Sulaymanid Dynasty of Yemen, the ‘Aliid Dynasty of Yemen, the ‘Aliid Dynasty of the Isaaq clan of Somalia, the ‘Aliid Dynasty of Sharifs of Sousse (Tunisia), the ‘Aliid Dynasty of Sharifs of Morocco, the Idrisid Dynasty of Morocco, the Hammudid Dynasty of Algeciras, Málaga, Sevilla and Grenada, the Banu Katuda of La Mecca, the Banu Fulayta, the ‘Aliid Dynasty of the Muse clan of Somalia, the Banu Salih of the old state of Ghana, and the Sulaymanid Dynasty of Sharifs of La Mecca among others. 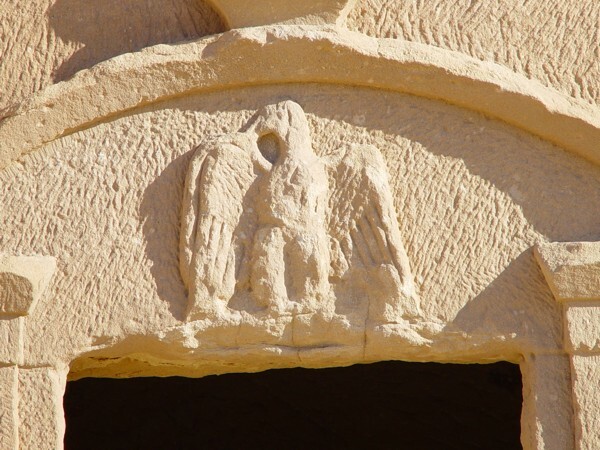 Madain Saleh, the ancient Nabatean-Arab coat or arms symbol of the Hawk/Falcon, which predates Rome, and continued to be used as a coat of arms (al-Uqab) by the Lords of Quraysh (Sadat Quraysh) in the pre-Islamic era, as well as the post prophetic era. 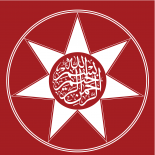 The Hawk/Falcon coat of arms known as ‘The Hawk/Falcon of Qurasyh’ was also used by the Umayyads in Syria and Spain, and continues to be used as a symbol by many contemporary Arabic governments today, including Egypt, Kuwait, Iraq, Syria, Libya, Sudan, the State of Palestine, UAE, Abu Dhabi, Dubai, and the Hashemite Kingdom of Jordan. Saladin’s Ayyubid dynasty also adapted it’s use, and the founder of Tariqah Sufism, Shaykh ‘Abd al-Qadir al-Jilani mentions it as Al-Baaz Al-Ashab, ‘the Grey Falcon of every Shaykh’. Dhulfikar banners woven during the 15th century are often decorated with a two-bladed sword wielded by the prophets son-in-law Ali and shield shaped. This particular banner, made in 1683 in North Africa, was made of metallic thread and maroon silk. Its inscription is written in the distinctive maghribi script with uniform thick letters and low sweeping curves. 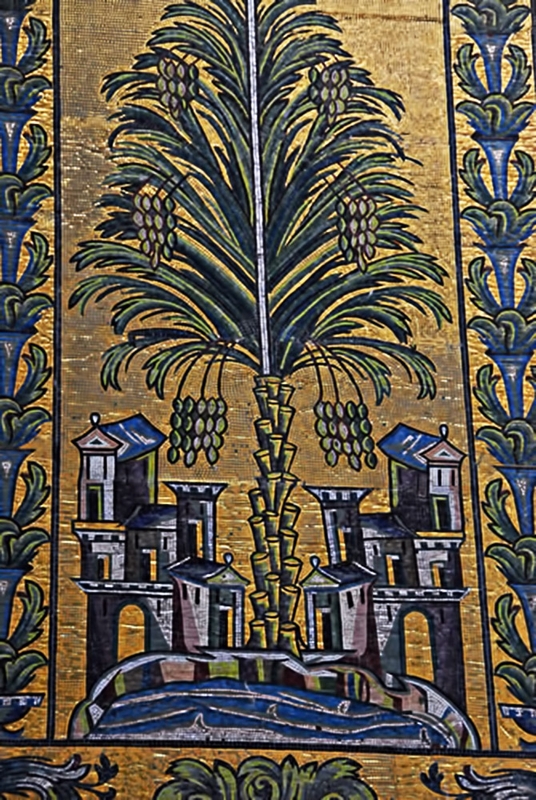 Qubbat al-Khasna: The Dome of the Treasury of the Umayyad Mosque, Damascus, supported by four columns and decorated with a painting of the Tree of Life – a date palm. Did Palladio ‘borrow’ from the works of Sinan? The Future of the Mideast: A decentralized, Networked Pan-Arabism transcending Sykes-Picot?